F - Fullscreen for standalone. 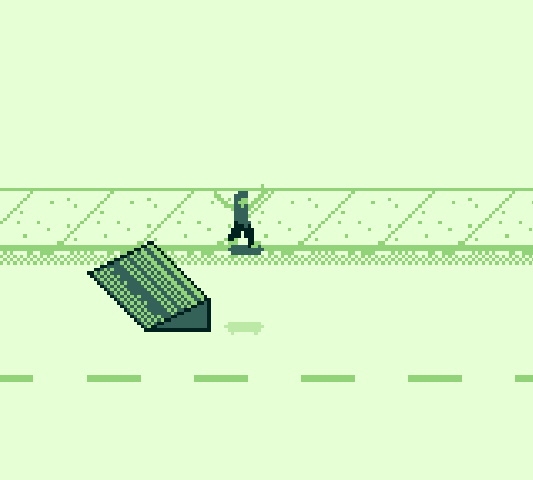 Skateboarding game based on an old C64 favorite called Skaterock. It's using Gameboy limitations, including custom music written with Deflemask. 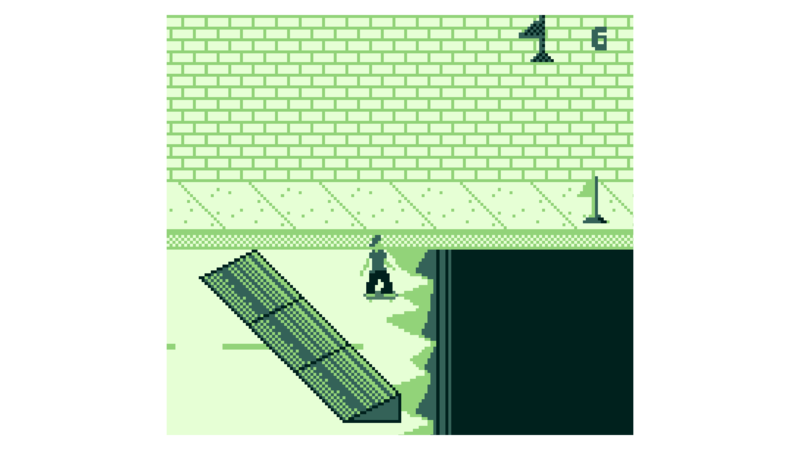 Only one level complete at the moment. Update 10/13: Fixed some of the height physics, shadow was not always working correctly.